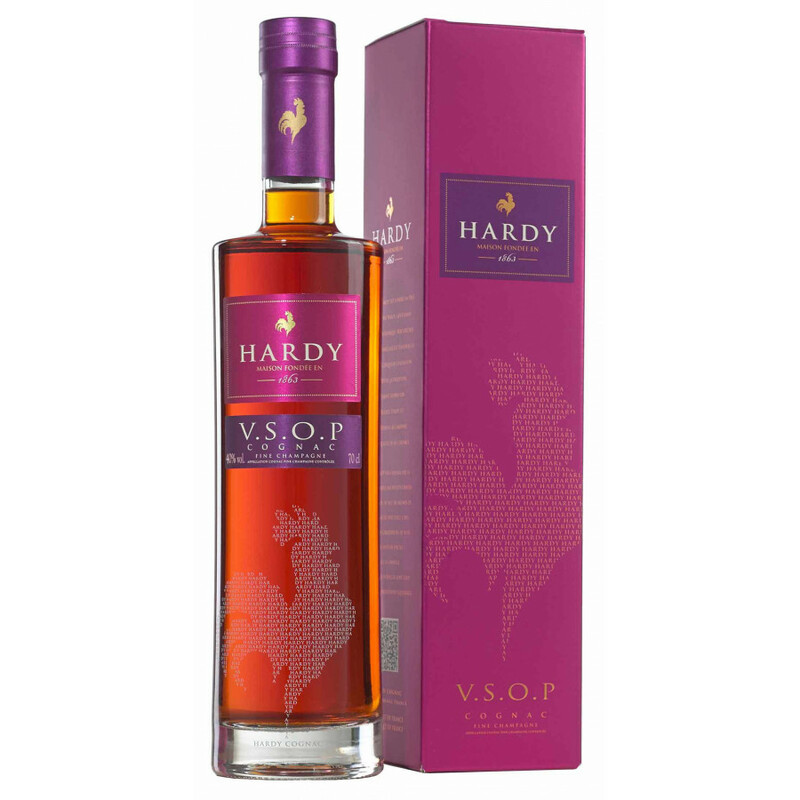 The Hardy VSOP Tradition Fine Champagne Cognac is a wonderfully balanced VSOP, that delights right from the moment you catch sight of its warm, golden color. It's a Fine Champagne blend, meaning that it's a combination of eaux-de-vie from the very best terroirs of the region–Grande Champagne and Petite Champagne. The perfect choice for an all-round, versatile Cognac. Ideal to enjoy neat, in the traditional manner, or perhaps with a block of ice, or combined with a mixer. The presentation is also nice, with a clean lined bottle and lovely colored label. In all respects this is a great choice to enhance any liquor collection. It's also a top quality Cognac that would be a fine choice as a gift.